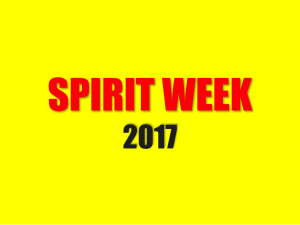 It’s SPIRIT WEEK 2017 here on GUWG, where we’re focusing on one of the most important but misunderstood (at least by me) topics in the entire Bible: THE HOLY SPIRIT. The Holy Spirit is a person. It’s critical to understand that the Holy Spirit is a person — not an “it” or some impersonal force that we can manipulate. He has a mind (Romans 8:27), emotions (Ephesians 4:30) and will (1 Corinthians 12:11). What does the Holy Spirit do? The Father sent the Holy Spirit to help us live the Christian life. He lives in us (1 Corinthians 6:19). He guides (John 16:13), teaches (John 15:26), leads (Romans 8:14), warns (Acts 20:23), assures (Romans 8:16), helps (Romans 8:26), convicts (John 16:8-11), gives us spiritual birth (John 3:5), prays for us (Romans 8:26) and makes us holy (1 Corinthians 6:11). Get to know the Holy Spirit. Listen to him. Talk to him. Let him teach you and guide you. Ask him to fill every nook and cranny of your life — your thoughts, emotions, work and relationships — so that his love can flow out of you and into the world.